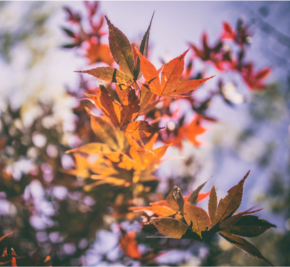 As the temperature starts to drop and the leaves begin to change, we looked to the hills to find some of the best day trips from North Richmond to inspire your inner explorer. If you travel just an hour-and-a-half west along Bells Line of Road, you’ll come across The Blue Mountains Botanic Garden Mount Tomah. Situated on 28 hectares, the Botanic Garden is the perfect environment for growing and maintaining plants from the world’s cooler regions thanks to the rich soil and milder temperatures. The garden boasts 6,000-plus plant species, including a number of trees more than 200 years old. Visitors are encouraged to take a tour of the unmissable garden with an expert guide, although you can simply pop by the Visitor Centre to grab a map and let your senses guide you. Another 20 minutes up the road and you’ll find yourself at the beautiful Mount Wilson. The tree-lined village was first settled more than 120 years ago atop the basalt capped peak, with English-style houses, gardens and avenues still intact today. Adjacent to Mount Wilson is Mount Irvine, another 15-minute drive along Mount Irvine Road. Located in a more rural setting, Mount Irvine is another reserve with rich vegetation due to the wet micro climate and rich basalt soils weathered from ancient volcanic activity. Today, there are only 20 or so properties in the area, including a walnut and chestnut farm. There is no better time than autumn to visit Mount Wilson and Mount Irvine when the gardens are open and nature’s colours are on display. In addition to bushwalks, canyoning and camping, it is also worth checking out the various lookout points with spectacular views of the mountains, valleys and reserves. If you want to make a weekend of it, there is a variety of accommodation options available, from cute cottages to architecturally-designed properties. There are also plenty of picnic spots around both villages and a barbecue facility at Cathedral Reserve, and it’s worth packing lunch as there are no permanent shops or cafes. 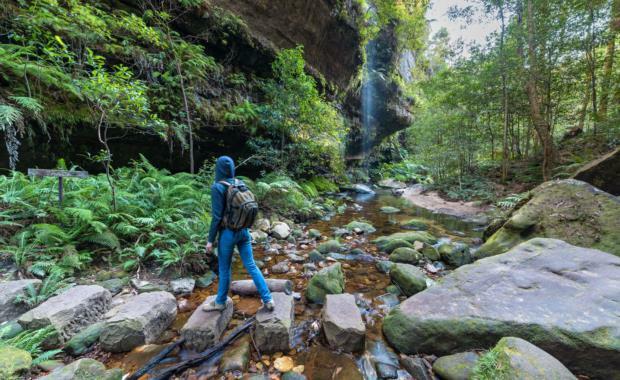 So, switch off from the daily grind, jump in the car, and spend a day or two discovering the natural beauty of The Blue Mountains and its surrounds. You will not be disappointed! There’s no better way to thank mum this Mother’s Day than with a beautiful bouquet, and Mel Readman at North Richmond Florist is one of the best in the business. With close to 20 years’ experience, Mel is passionate about creating exquisite arrangements for all occasions. Forget the old chrysanthemums. 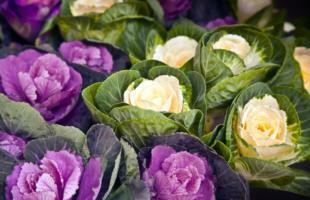 Mel says kale wedding flower, or cabbage rose flower, is on trend for bouquets. Gerberas, stock and vanda are also popular in the North Richmond community. Mel’s tip for ensuring your flowers live longer is to cut the stems and change the vase water each day. She also suggests adding flower food to keep your blooms looking fresh. 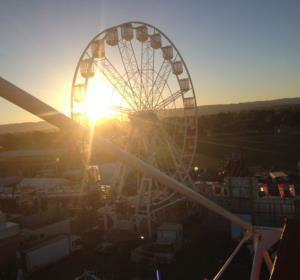 Many will agree the Hawkesbury Show was a huge success with the weather turning it on for three days. Saturday crowds were on par with last year’s, but a new record was set on the Sunday with a huge number of visitors passing through the gates. Redbank North Richmond promoted both Belmont and Yeoman stages, securing many appointments in the week that followed. We also had the opportunity to talk to as many Hawkesbury residents as possible, many of whom are already part of the Redbank family. 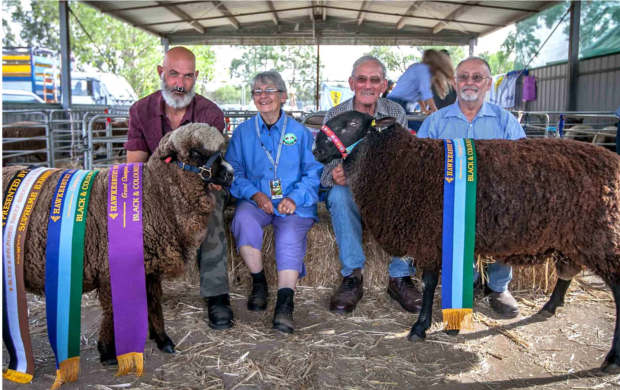 As a major sponsor for the second year running, we are extremely proud to be associated with such a fantastic event that has now been running for 131 years. Yeoman’s soon-to-be residents, Cameron and Annaleise Sorbello. Meet Cameron and Annaleise Sorbello, Redbank’s newest residents who hail from nearby Cranebrook. 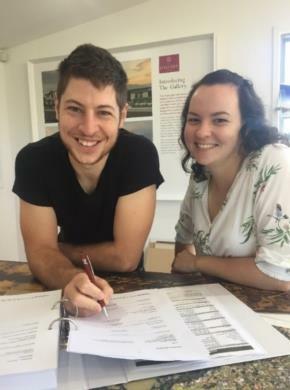 With room to grow on their new lot at Yeomans, the couple is looking forward to embracing Redbank’s peacefulness and open spaces with their young son. In addition to the region’s rich history and community focus, Cameron and Annaleise chose to buy at Redbank for the bigger land size and value for money. They are also relocating to be closer to their family who live in North Richmond, where Cameron grew up. We welcome the Sorbellos to the Redbank family. 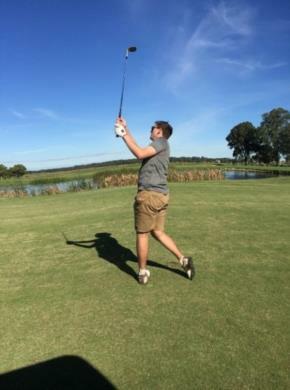 Residents dusted off their clubs at the inaugural Redbank Golf Day at the beautiful Richmond Golf Club. Owners representing most stages of the Redbank development were in full swing, including some very accomplished golfers. With psyching-out strategies at play, the group headed out for a game of singles with a ‘closest to the pin competition’ on hole two and a ‘longest drive competition’ on hole five. John Ugarkovic cleaned up the course by shooting a 73 for 18 holes and getting closest to the pin. Lance Clarke and Dylan Jamison followed closely with strong games and weren’t too far off the pace. The day was such a success we are planning on making it a more regular fixture on the Redbank calendar, so if you bogeyed the first time around, there’s always next time. A number of convicts and settlers who sailed on the First Fleet are buried in St Peter’s Anglican Church cemetery at Richmond. Back in 1810, Governor Macquarie selected the church site, which included a school-house and burial ground. 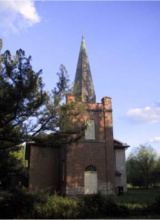 The local community at the time helped raise two hundred pounds to construct the brick church, which later underwent a number of cosmetic changes including the addition of a side-porch, stained glass windows and the construction of a chancel and gallery. 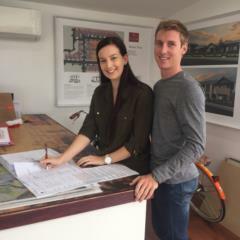 First home buyers and Yeoman’s soon-to-be-residents Timothy Rapson and Beth Crawford were #snappedatRedbank. The couple are the first to snag a $50 voucher for Value Valley Meats in Richmond. We have exciting news this week on the retail front with our team engaging four leading Sydney architects to come up with designs for our neighbourhood centre. Located in the centre of Redbank on the edge of our largest dam, this plaza will consist of approximately 12 specialty shops serving the everyday needs of our Redbank family. The theme will be consistent with the semi-rural setting and we aim to commence construction in 2018. We look forward to sharing the design with you soon. Important notice: Please note construction cannot begin on lots in The Gallery until McDonald Jones receives an ‘Authority to Commence Construction’ letter from the bank and any signed variations (if applicable). We suggest getting this information submitted now to get things moving. McDonald Jones is expecting a Construction Certificate any day which will assist in some buyers getting this information from their bank. Please contact Elif Kaplan via email at ekaplan@mjhmulti.com.au or on 02 8808 7467 if you have any questions regarding construction. Congratulations to everyone in Stage 1 and 2 for completing your purchase at Mountain View. We look forward to seeing your homes take shape in the coming months. For Stage 3 buyers, there are no changes from the last newsletter. The preferred option continues to go through Sydney Water approval, Concept Design, Detailed Design, Delivery and Commissioning. We continue to work with Sydney Water on a program timeline and will notify all concerned parties once it’s received. Only 18 blocks remain in the highly sought after Yeoman’s precinct with strong sales continuing across the board. We anticipate a complete sell out before civil works begin. No change from last week with Construction Certificate preparation on schedule and civil works still on track to commence mid-year. At this stage, everything is running to schedule as we move towards a staged delivery across the precinct. No change from our last newsletter with everything still running to schedule and civil construction to commence mid-year. Please note our current dealings with Council and our proposed bridge has absolutely no impact on timing for the delivery of Belmont or any other stage. The current hold period is related to Sydney Water finalising a water/sewer strategy for Belmont. This is in keeping with our proposed program. We can also confirm JK Williams has now been awarded the contract to complete the work. The draft plan for parks and reserves at Redbank has now closed for public comment. Council will review the feedback received and make a determination. We will advise the outcome in due course.